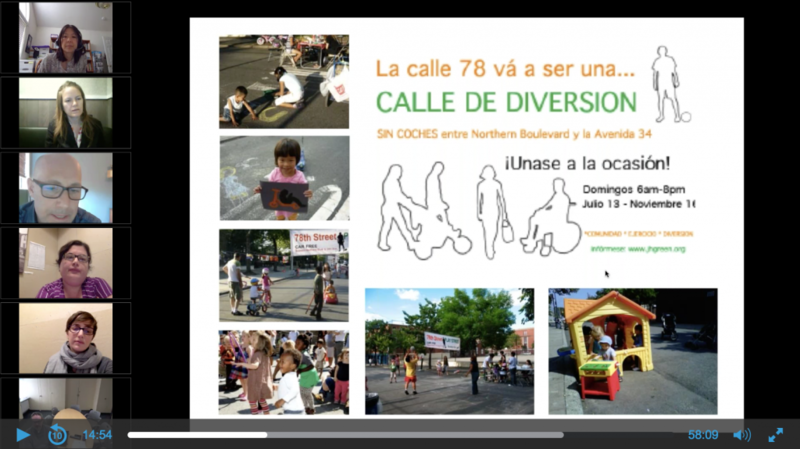 Building healthier communities webinar now available! Earlier this month, ioby presented our second session in our new series of “Lunch and Learn” webinars. This conversation was all about how to bring healthy living to your block. We heard stories from successful ioby projects that focused on community health, and got to see models and approaches for making our neighborhood healthier. We discussed everything from the health benefits of yoga, to how to grow a local project to do the most good for the long term, to how to talk about this work in the most engaging way. Raquel Bournhonesque, Community Coach at County Health Rankings & Roadmaps (a collaboration of the Robert Wood Johnson Foundation and the University of Wisconsin Population Health Institute). If you weren’t able to join us in real time, we are sharing the recording here so you can watch and listen to the whole thing when you are able – and share it with friends and neighbors! Stay tuned for details about our next learning webinar about play, taking place on Monday, April 24th.